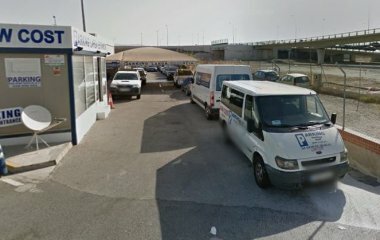 Outdoor car park, near at the departures of Málaga-Costa del Sol airport, for short, medium and long stays. Book the best car parks in Málaga - Costa del Sol Airport. You don't need to go to the airport; we'll take you to the boarding terminal. On the way back, once retrieved your baggage, please call us and then go to the agreed meeting point in the terminal, we'll be waiting for you and we'll take you back to the parking. 4 stars based on 3 ratings.